Training for ultramarathons is hard work. 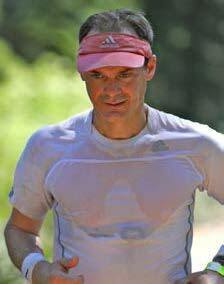 It requires a huge commitment of time and energy to prepare yourself to run – maybe even race – up to 100 miles. 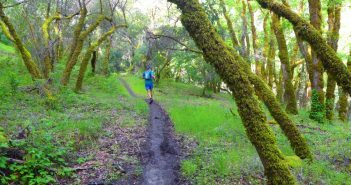 Fifty-mile training weeks, punctuated with at least one long run of 20 or more miles, are the staple of the ultrarunner. 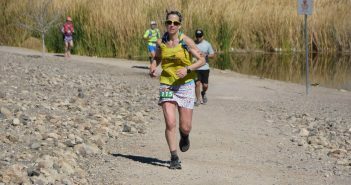 For most ultrarunners winter and spring was all about training and preparing for a big summer race. The first half of the year had so much focus and promise. And now… it is fall. Fall. 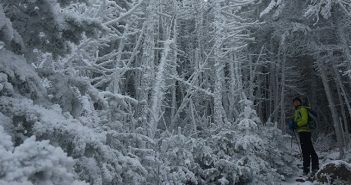 Even the name of the season implies pain and loss. 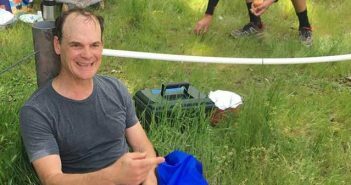 Transporting your body on foot for 100 miles in one go seems like an intensely personal and individual experience. And in many ways it is – only you can cover the miles, one step at a time. The physical pain and mental anguish experienced along the way taps you into your inner stuff unlike anything else. But ironically it is during such a deep dive inside that I have felt more connected to others than at any other time in life. 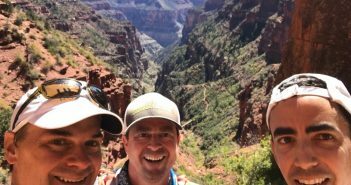 Time stops for none of us, and that is especially true in the sport of ultrarunning. Whether it is Wally Hesseltine trying to finish the last 300 yards of Western States in under one minute so he could become the oldest finisher at age 73, or Jim Walmsley trying to win and set records on the biggest stages at age 27, we all have windows that come and go. 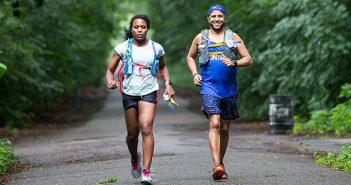 “When 26.2 Miles Isn’t Enough” is the title of an article published last month by British newspaper and digital media outlet The Guardian that explores the “phenomenal rise of the ultramarathon.” It is an interesting topic for any ultrarunner. My dad retired in his late fifties and has been having the time of his life for the past few decades. He turns 85 this year and is still doing his thing – playing tennis, hunting all sorts of birds and doing real yard work. He loves to play games – especially bridge and gin rummy. Mistakes are gifts. When we screw up or face big setbacks, we can learn from those experiences and reset our resolve to achieve goals and live the life we want. Behind every successful and happy person are many big mistakes and failures. The mistakes themselves don’t really matter. It’s what you do with them that makes all the difference. Recently my wife Erika gave birth to our daughter, Evelyn Rose. There is no way to fully describe the feeling and process of a new person coming to life. It is intense, transformative and beautiful. 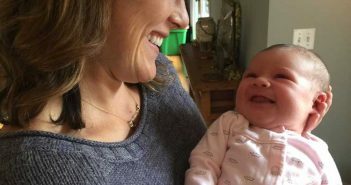 In my experience the world is always made better with the arrival of well-loved babies. 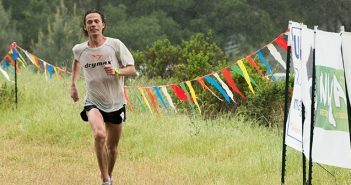 If you’re reading this you probably love ultrarunning. The challenge, the fitness, the lifestyle. But as with everything, even good things, there are issues. And in ultrarunning we gots plenty: Long-odds lotteries for race entry, access to public lands, commercialization of the sport, gender equality, performance enhancing drugs, overtraining syndrome/burnout, too much growth, loss of culture, escalating costs of participation, central organizing bodies over-reaching and under-committing – the list goes on and on. Without trails our sport would not exist. Sure there are road ultras and many “trail” ultras entail portions along fireroads, tow paths, running tracks and, gasp, even pavement. 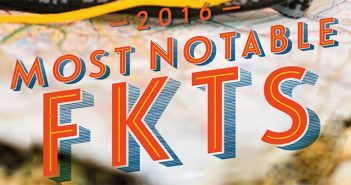 But if you look at the most popular and iconic ultras, they all include some epic trails. So yes, we need them. 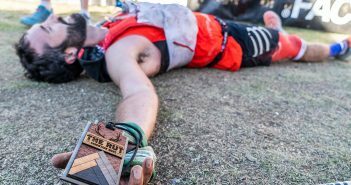 Let’s face it, ultrarunning is a really difficult activity. It requires a huge time and lifestyle commitment. But many people are attracted, like moths to flame, to the opportunity to do something epic. And often once they do a few ultras they realize there is a steep learning curve and they achieve faster, and faster, times. Soon, they are pulled into the drive to reach their highest potential by racing ultras – they are all-in. If you’re an ultramarathoner, chances are that you started with a marathon. 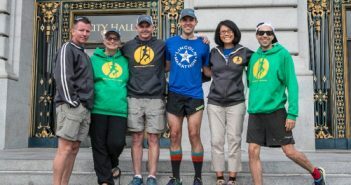 An informal survey of ultarunning friends reveals that most of them did at least one marathon before moving up to ultras. 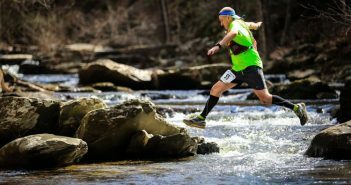 Going 26 miles seems to be a sure-fire path to becoming an ultrarunner. We recently conducted a reader survey and received almost 1,000 responses – thank you for your feedback. The positive comments were encouraging and nice to hear. Over 98% of respondents said UltraRunning Magazine is interesting, informative, trustworthy and reliable. Roughly 95% believe UR provides unique content and useful information. 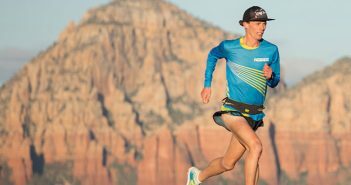 Most ultrarunners are fueled by a desire to push their limits and explore the boundaries of what is possible. They are drawn to training for and completing ultras because they want to challenge themselves and achieve big goals. 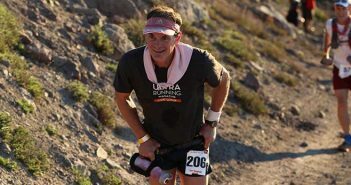 The process of committing, training and executing on race day consumes, and ultimately defines, the ultrarunner’s life. The experience and satisfaction of knowing you put everything on the line in an epic test, is what endures. 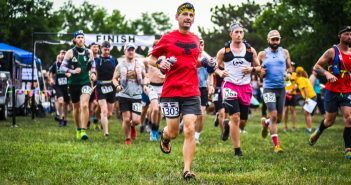 With the increasing popularity of Fastest Known Times and the completion of more and more epic feats of human endurance, we thought it was time to properly recognize and honor this portion of the ultrarunning community. 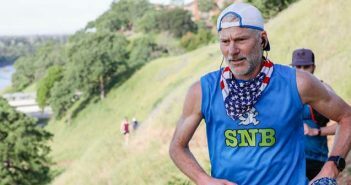 As with the Ultrarunners of the Year (UROY) process, which is led by John Medinger, we are fortunate to have an icon of the sport oversee and conduct this process for FKTs, Buzz Burrell. 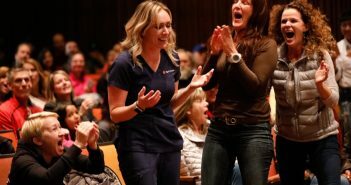 We hadn’t attended the Western States lottery in a few years and I was not expecting the spectacle that was ahead of us that morning in the packed auditorium at Placer High School in Auburn, California. I knew it would be flawlessly conducted, high energy and even entertaining. 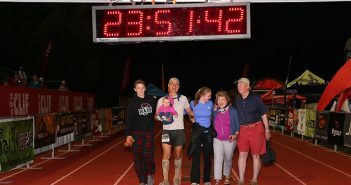 But to be honest, I had forgotten how life-changing ultramarathons can be in people’s lives, and the visceral emotions that are unleashed when someone’s name is chosen. 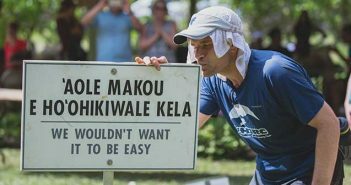 As Tropical John Medinger astutely observed, ultrarunning is a hard sport for everyone – back of the pack, middle of the pack and those at the front – and it is this shared experience of suffering that brings all ultrarunners together and makes our sport so special. This sense of connectedness is what keeps the first finishers of an ultra cheering for the last finishers, and it’s what makes our community so strong. 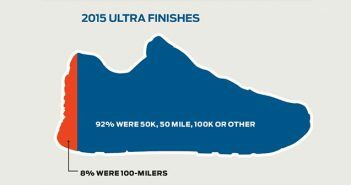 Ultrarunners’ feet take a pounding like no others’. They are the workhorses that allow us to do what we do. But too often, we take them for granted until something goes south down there – usually during a big race. It’s only then that we remember just how crucial their health and happiness is to our ability to perform and get it done mile after mile. 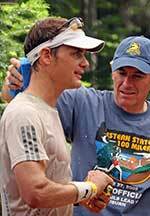 Toeing the line and completing an ultramarathon is a huge accomplishment. 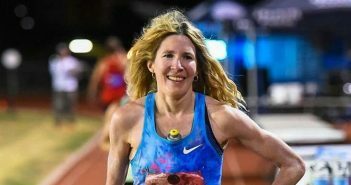 But racing an ultra is an entirely different proposition. Both are wonderful and life changing endeavors, but since this is our racing-themed issue, we want to give props to the serious racers out there. We’re not just talking about the elites; we’re talking about anyone trying for their own personal maximum footspeed over a mappable distance.